"The location is good & transport is provided ." Have a question for Megah D'Aru Hotel? 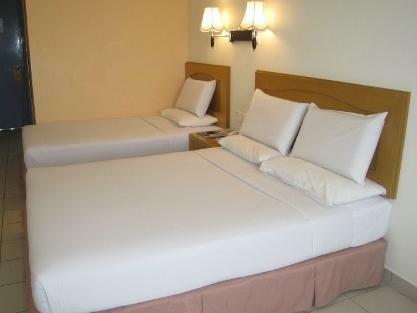 "This hotel near to airport, very recommended travellers for flight transit." "Great stay with airport transfer available." "Location is convenient and nearest to airport." 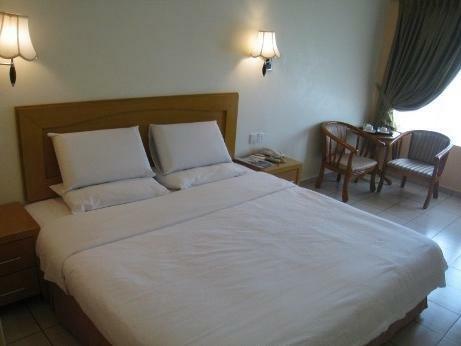 "Close to airport & complimentary shuttle to airport." 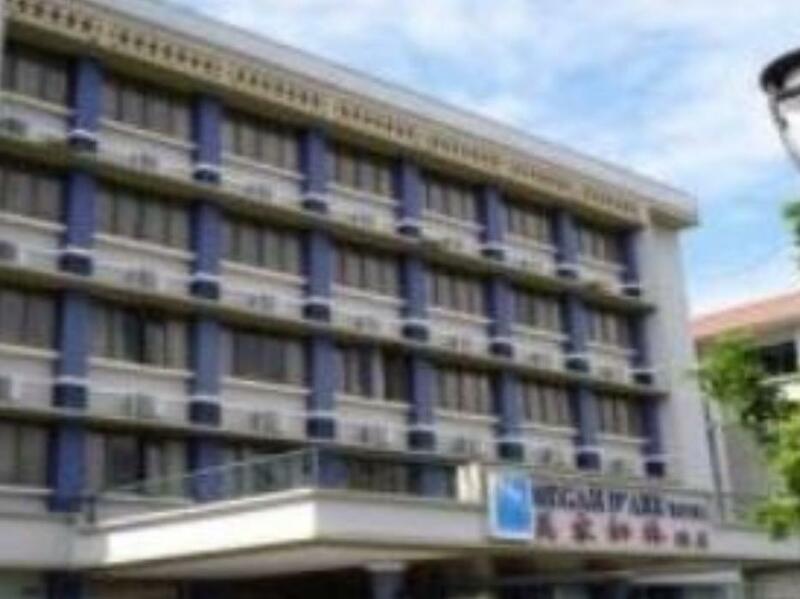 Located in the heart of Tanjung Aru Township, Megah D'Aru Hotel is a short distance away from major attractions like the Kota Kinabalu International Airport and Kota Kinabalu city center. A spot at the hotel, The Café and Bar, is designed for meetings, chit-chat, or chilling, offering guests an exotic variety of drinks. Get a foot massage or a complete pampering treatment after a busy schedule at the Health and Therapy Center, located on the lobby level. 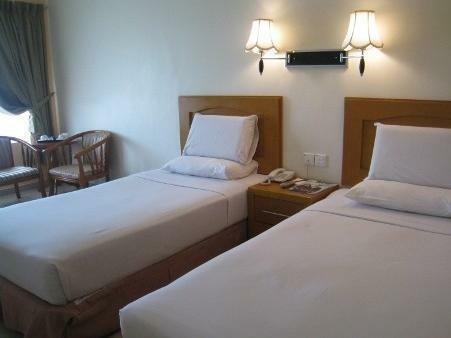 Megah D'Aru Hotel is an ideal place for discerning leisure and corporate travelers who are looking for stylish, fully furnished rooms at an affordable price. "It is peaceful and quiet at night." Staffs are excellent, location good, parking space available for guests, check in and out fast, room's floor a bit sticky. linen not changed daily. it's the same throughout my 3 night stay as i noticed by the blanket old stain eventhough i asked to make up the room daily. toilet clean. toilet slippers provided. hot water not hot, only bit warm eventhough i did not turn on the cold tap. suggest to improve water heating system and to also provide room slippers. Breakfast ok. choices of food 2 types of fried noodles (either vermicelli, kuey teow, yellow noodle), scrambled eggs, sausages, baked beans, white bread with kaya and butter spread, coffee tea and mineral water, no juice/cordial drinks. if can add on some kuih that would be awesome, or maybe nasi lemak/nasi goreng. Pros: Near to the airport. Free shuttle bus. Restaurants, fast food and laundry service nearby. Free parking. Spacious. Mobile network and internet reception are fine. Cons: Airplane route so sometime can be noisy. WiFi is available only in the lobby. Breakfast is cold and boring. TV reception is poor. Breakfast is cheapskate, of which only fried noodles (without anything, a few chicken slices), fried rice, scramble egg (refill with 1 bowl bit by bit once it’s finished). Toast is not found. Breakfast promised is from 7am to 10am, however it’s almost finish while 8am. Staff are good, helpful and friendly. No WiFi in the hotel, no refrigerator in the room. Quite far from the city area. It’s very near to the airport, that you can hear every flight taking off, so it’s quite noisy. This incident happened few times already. Overall the hotel is fine. However, kitchen staffs are very slow, took surprisingly longer time to refill food and beverage. Customers have to wait and some of them like myself opted to go to other nearby restaurants to take breakfast so on. The food are cold and boring too. This was the 4th time we stayed at Megah D’Aru Hotel. Very convenient as they providing free airport - hotel - airport transfer and this is exactly what we need because our flight was in the early morning. Overall good. A good option if you only need a place to rest and transit. great location whether you looking for airport transit or city trip. Going to Kk city center just below rm10 grab ride or 15 minutes drive. parking is plenty. have many eateries around the place. Airport transfer is arrangeable but do arrange it in advance to avoid dissapointment. However thr beach is very far. Have to walk 15 minutes or 5 minutes drive. But yhe beach is nothing to miss about.Lookout to support KFC just walking distance 5 min away.This branch made almost entirely of hearing impaired staffs. I picked this hotel for its location close to the airport. I only had 1 night in transit here. The hotel is old and shabby but reasonably clean. It is under the final approach flightpath to what is a busy airport and is not soundproofed therefore aircraft noise is a problem. Also the surrounding area is rather dark and makes you feel insecure when out to get food etc. Stayed 1 night.. check in after midnight to catch early morning flight next day. Ok for one night but they didnot tell me they provide the free shuttle service to the guest. Next morning when I tried to call grab taxi other guest advised me of this service so asked to the front desk. Then the answer was at first car was already gone to the airport. So I asked when the car could come back then said had to call the driver. Then suddenly it was needed pre booking and the next schedule is 40 min later. Last night I asked how early we need to go for 9am domestic flight but they never advised of this shuttle service. I did not feel well on this attitude. Good location for airport, plus they offer free airport shuttles. We were too early to have the breakfast but managed to get some simple toast and coffee before 7am. Showers are a bit dated but the rooms were massive and beds comfortable. The Mega D'Aru Hotel is super convenient for an early morning flight from KKIA. The check-in staff was courteous and efficient. The room was simple, but clean and comfortable. The hotel even offers a packed breakfast and free transport to the airport. I would definitely stay there again, when next I have just a quick stop-over in KK en route to somewhere else. I stayed here with my family in view of it's close distance to the airport. Didn't expect that the restaurants are just around the corner, in fact there is a nice one in the same building. But there is no pool or gym (that I noticed), but then the beach is nearby. The room itself was not too shabby, clean enough to my liking. Best option to consider if you have to catch an early flight the next day. Stayed here twice, rooms are clean, very friendly staff, and a good place to park your car if you are headed to the airport as airport parking fees are steep. The breakfast is abit limited and there is not much to do within walking distance of the hotel other than a nearby italian restaurant and your average 24/7 convinience store. Only reccomended for business travellers looking for a good sleep/rest. Both parking and transport to the hotel is free. worth every penny spent. provide free shuttle to/from airport. location is good, there are a few good restaurant n 24 hours convinient store. breakfast is basic, staff is attentive, the room is clean. will definitely be my choice whenever i had layover in kkia next time. They provide free shuttle services which is very good for those who catch the next flight early morning. There are alot of restaurants around this area too, very convincing. Will sTay here again for short trip. Location is outside of the city, but close to the airport and within walking distance to Tanjung Aru Beach. Lots of good, small restaurants in the area. Staff is very friendly and helpful, enjoyed my stay here!